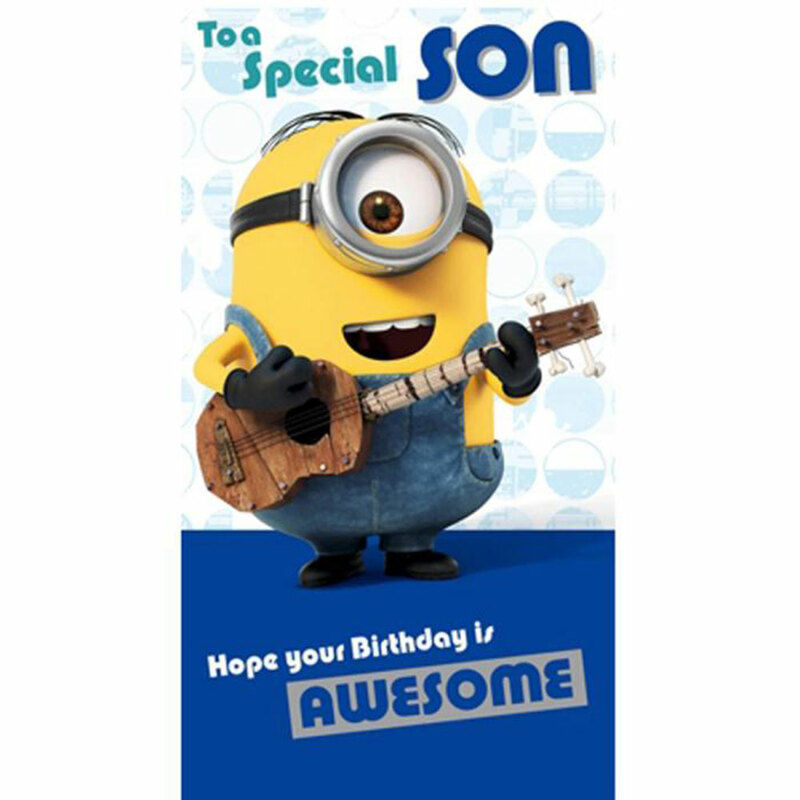 Special Son Minions Birthday Card | Minion Shop. The message on the cover of this birthday card reads "To A Special Son Hope your Birthday is AWESOME" and the inside message reads" …just like you! Happy Birthday."